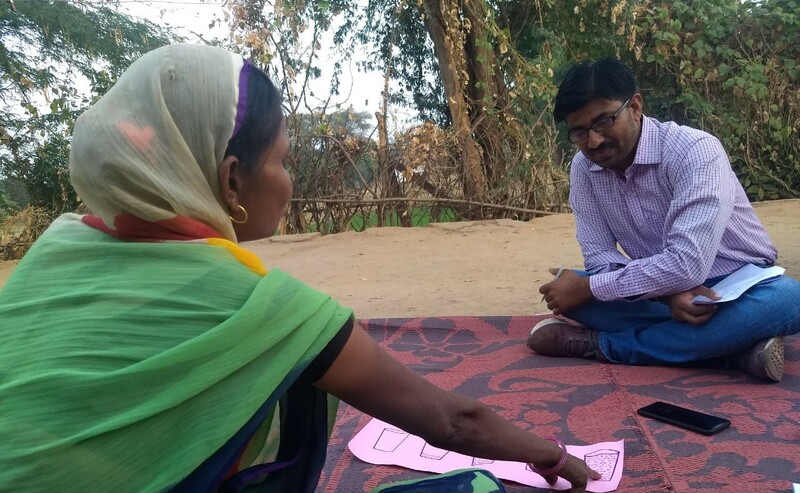 Outline India was commissioned to undertake a rapid assessment case study by Better Cotton Initiative (BCI) with Action for Food Production (AFPRO) as its Implementing Partner (IP), with the goal to assess the progress in phasing out of hazardous pesticides. For the same purpose, qualitative tools (FGDs and IDIs) have been developed by the team of Outline India. 4 FGDs have been conducted with 27 farmers to gauge farmers' perception with regard to pesticide usage. Semi-structured interviews were also conducted with AFPRO officials to understand how they have aided the process of the intervention and to understand the difficulties in the process. Field facilitators (AFPRO) were interviewed to analyze the issues in direct communication with the farmers, and what issues have cropped in the process. Interviews have also been conducted with scientists from Junagadh Agricultural University (JAU), as the interventions have promoted the biocontrol, beuavaria bassiana developed by them. Informal discussions were also carried out with Krishi Vigyan Kendra and agro-input dealers, as they are the direct point of contact for farmers, thereby affecting their daily choices. A desk review of the literature provided by BCI and AFPRO have guided the data points essential for this study. Additionally, the dataset on the use of monocrotophos for the year 2016-17 has been used for the quantitative analysis which has to be cross-checked for validation with the data in farmer’s record books.